Records on a Black Friday! Black Friday was also a special day for record stores across the US. There are special Black Friday releases, some of which are limited edition. Eric and I braved the mean streets of Ballard to do some record shopping at Sonic Boom. Juniper helped me photograph my Black Friday finds! 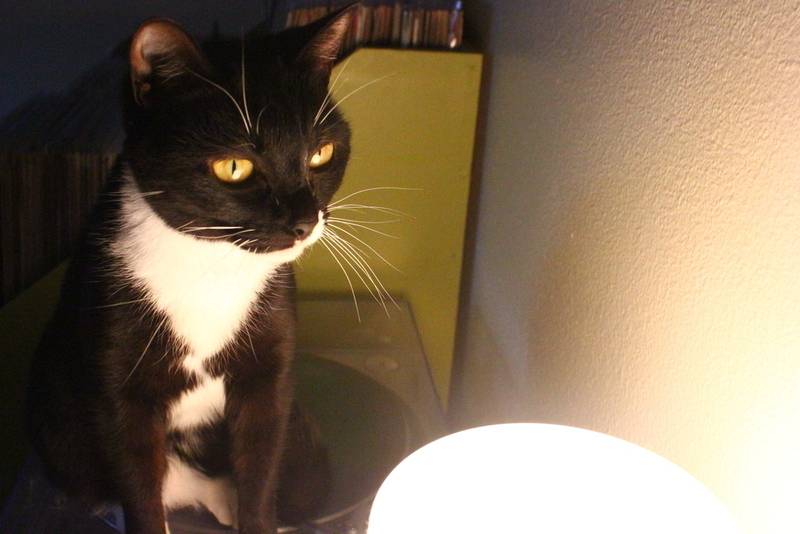 We also gazed into a table lamp together. 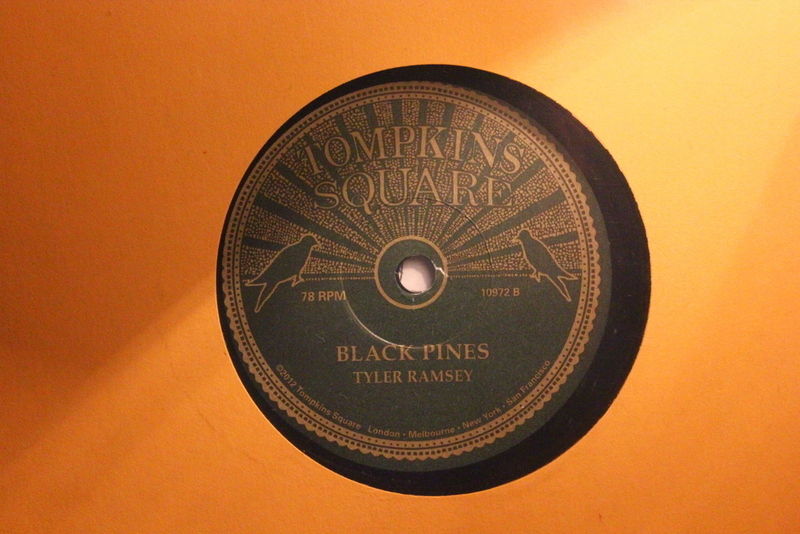 I picked up a release from Tyler Ramsey. Tyler Ramsey is part of the band, Band of Horses. 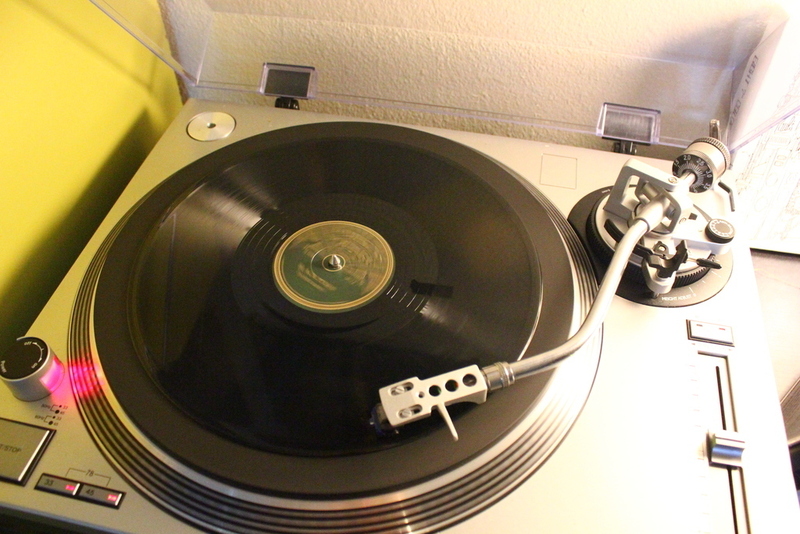 78 rpm! 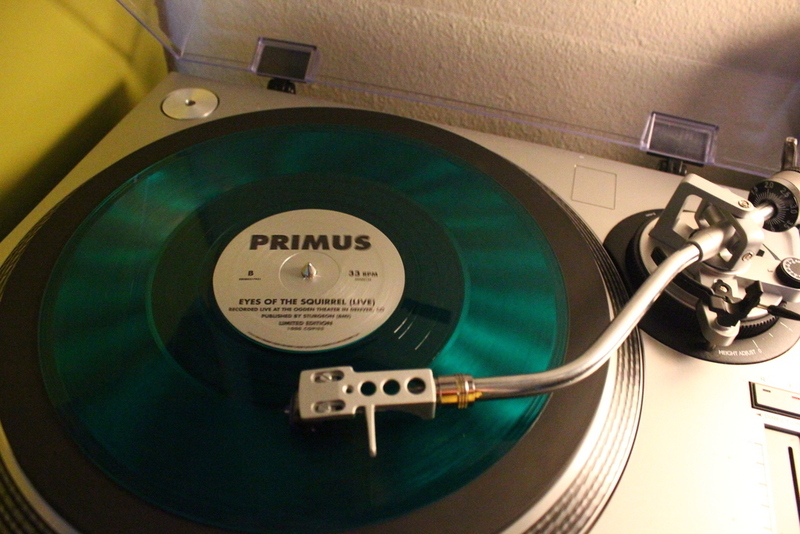 I also picked up a 10″ from Primus. It’s on clear green vinyl with too! 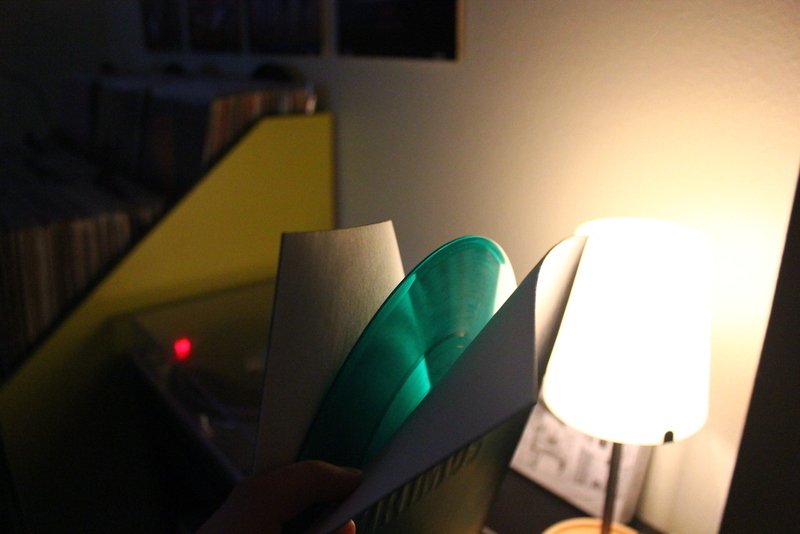 The labels on the 10″ are actually reversed. 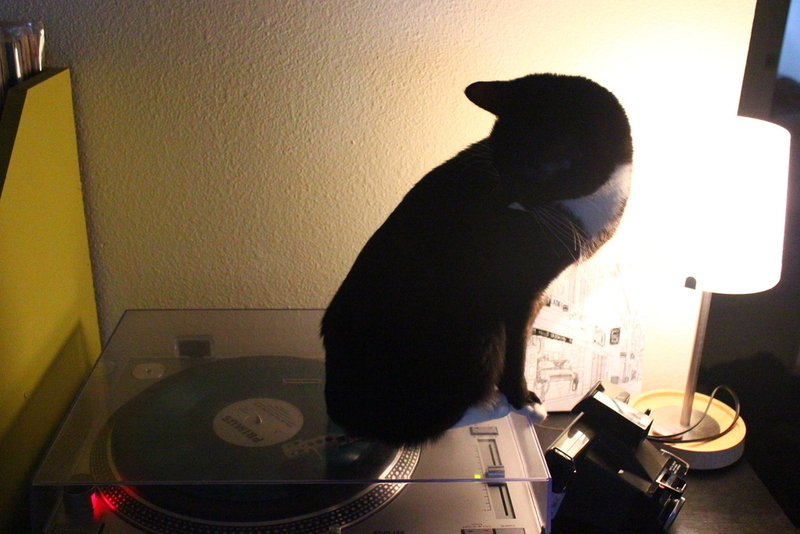 Shame on the person pressing the vinyl! 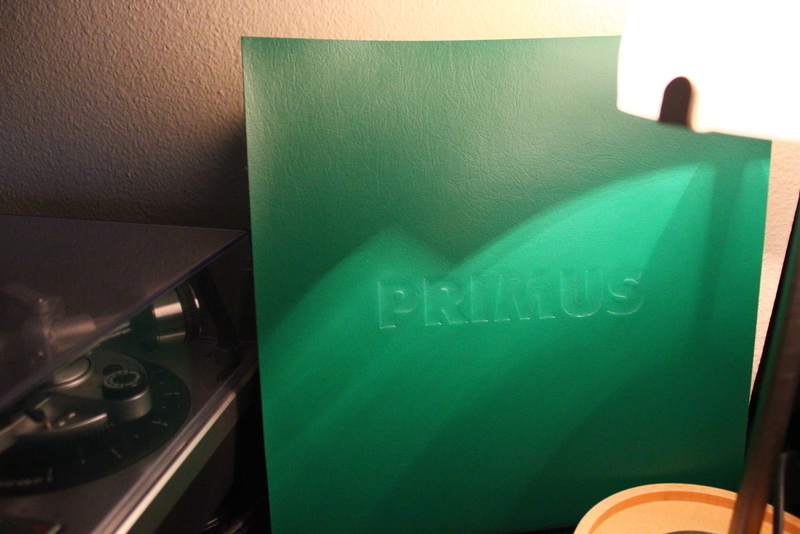 The most recent album from Primus is titled, “Green Naugahyde.” Their 10″ from Black Friday was packaged in a green naugahyde folder with the band name debossed on the front. 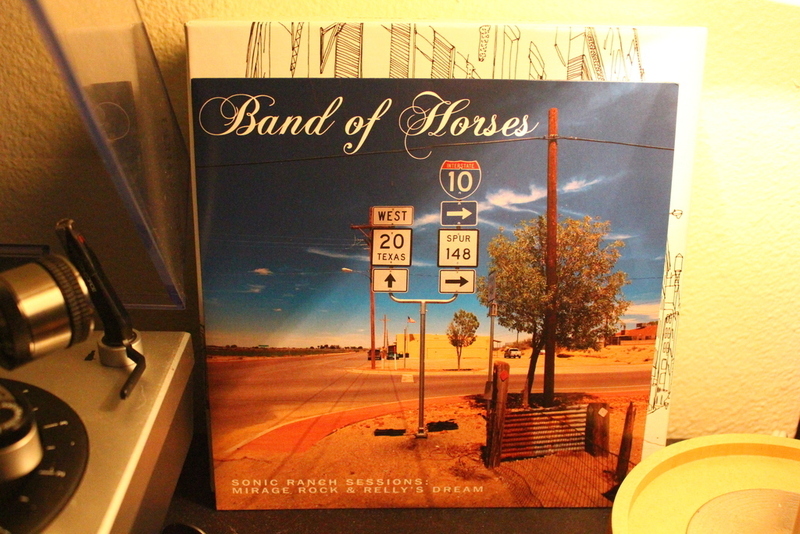 Band of Horses also released a 7″. The 7″ has two songs off their new album on it. But those two songs were performed at the Sonic Ranch studio. 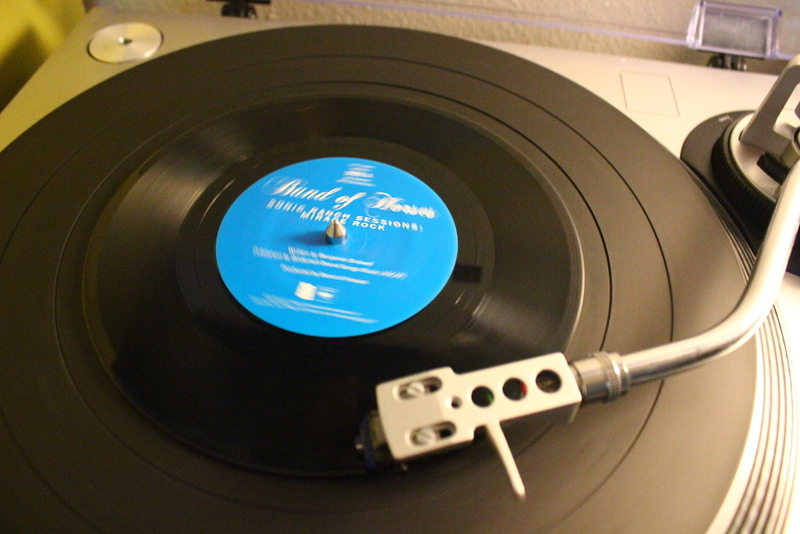 Don’t tell the band, but I like the recordings on the 7″ better than the ones on the album! This is the green naugahyde packing with the Primus 10″. Happy Black Friday Record Store Day! Did you go out and buy some records?